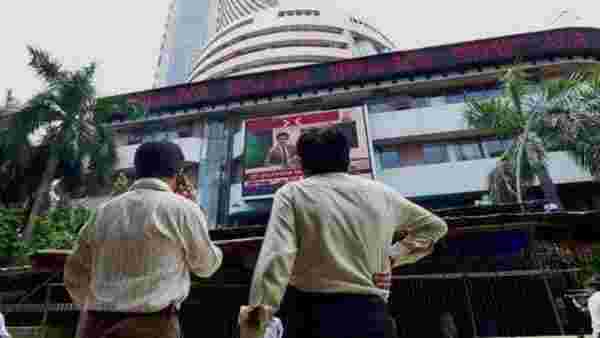 Indian markets closed at record high today, extending gains to the fourth day. Driven by gains in auto, banking and IT stocks, Sensex settled 184 points higher at 39,056, after hitting a new intra-day high of 39,121 during the session. Nifty settled 0.40% higher at 11,713, it second-highest closing ever. Global markets were mostly higher, buoyed by positive factory activity data from China and the United States. Among the Sensex stocks, Tata Motors surged 9%, its second day of strong gains. 1) The Supreme Court today stuck down Reserve Bank of India’s February 12, 2018, circular on bad loan resolution. The circular, commonly known as the February 12 circular, directed lenders to refer any loan account of over ₹2,000 crore under the Insolvency and Bankruptcy Code (IBC) if not resolved within 180 days of default. 2) Several companies, especially power firms, had sought intervention of the Supreme Court, saying the time given by the central bank was not enough time to tackle the debt issue. Analysts say that after the ruling banks will have more discretion in referring accounts to IBC. 3) Banking shares, which significantly outperformed in last month’s rally, added on to gains. SBI, IndusInd Bank, and Yes Bank were among the top gainers. 4) Some analysts believe markets could see a consolidation in the near term after the sharp run-up over the past one month. Jayant Manglik, president of retail distribution at Religare Broking, said: “In the near term, we expect some consolidation post the recent run-up. The upcoming RBI monetary policy on 4 April would provide further direction to the markets.” The monetary policy committee’s commentary on future interest rate and inflation trajectory would be closely monitored by the market participants, he added. 5) Analysts widely believe RBI to cut rate later this week, when it announces policy decision on Thursday. 6) “We expect the RBI to cut policy rates by 25 bps and see a good chance of the policy stance shifting to accommodative/dovish (neutral currently). Since the previous monetary policy meeting, domestic growth momentum has slowed (reflected in high frequency data such as car sales, IIP, etc.) and inflation has remained benign. Further, global growth momentum has also lost substantial momentum and all major global central banks, including the US Fed, have turned decisively dovish in recent months,” Edelweiss Securities said in a note. 7) Continuing the last month’s momentum, foreign investors put in ₹899 crore on a net basis into equities on Monday. 8) Infosys and TCS kick off the March quarter earnings season when they announce their earnings on 12 April. 9) Market observers would be closely watching global oil prices which have risen to five-month highs. “Movement of crude oil prices and currency would remain on market radar,” said Jayant Manglik of Religare Broking. 10) Other top gainers in the Sensex pack included Bharti Airtel (up 5%), TCS (2.4%), Bajaj Finance (2.2%), PowerGrid (2%) and IndusInd Bank (2%).